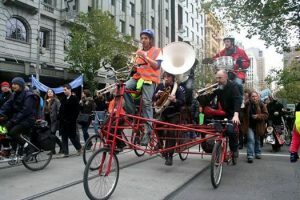 Critical mass is a fun ride for all. Come and enyoy the roads of Melbourne. There will be a warm and friendly pub at the end of the rainbow. The bicycle is a vehicle for change so let’s ride them!